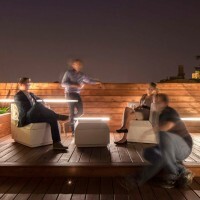 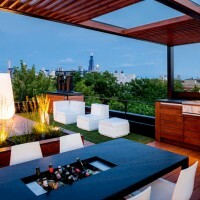 dSPACE Studio designed this rooftop space that overlooks the city of Chicago. 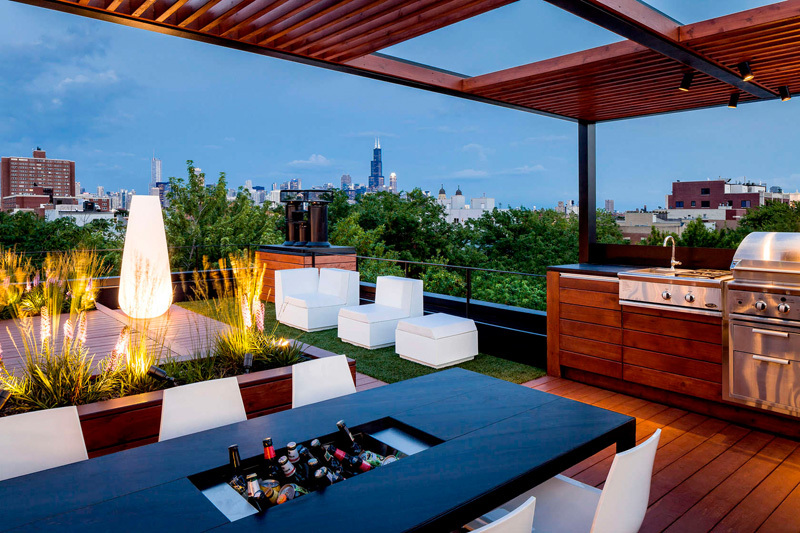 This rooftop retreat was designed to showcase the Chicago skyline and provide an exciting space for entertaining. 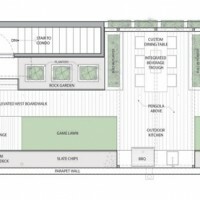 Program requirements included a sundeck, kitchen, dining space, game lawn and viewing platform. 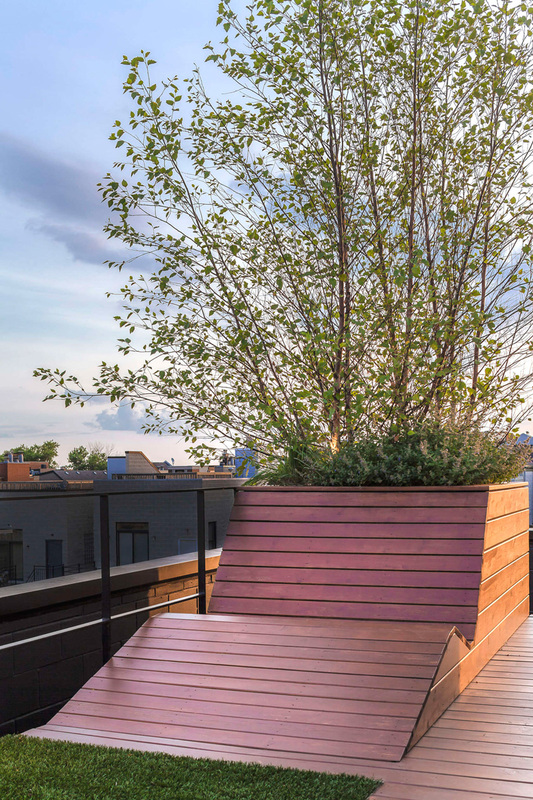 The entire deck is supported by six steel beams that tie into exterior masonry walls, bypassing existing roof joists which were under-sized. 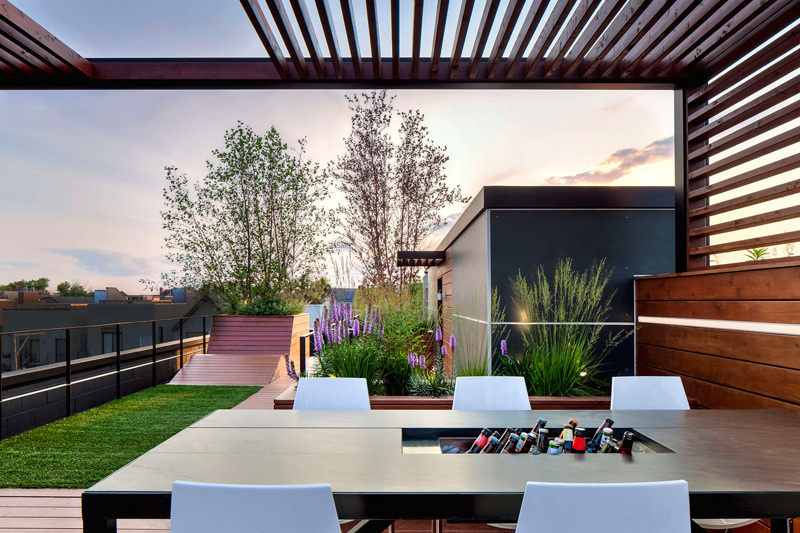 This structure elevates the deck to expand the views and makes the deck appear to float effortlessly above the roof. 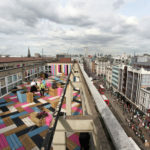 A linear boardwalk responds to the narrow footprint of the building, linking programmatic elements and forming an axis which draws one toward the city. 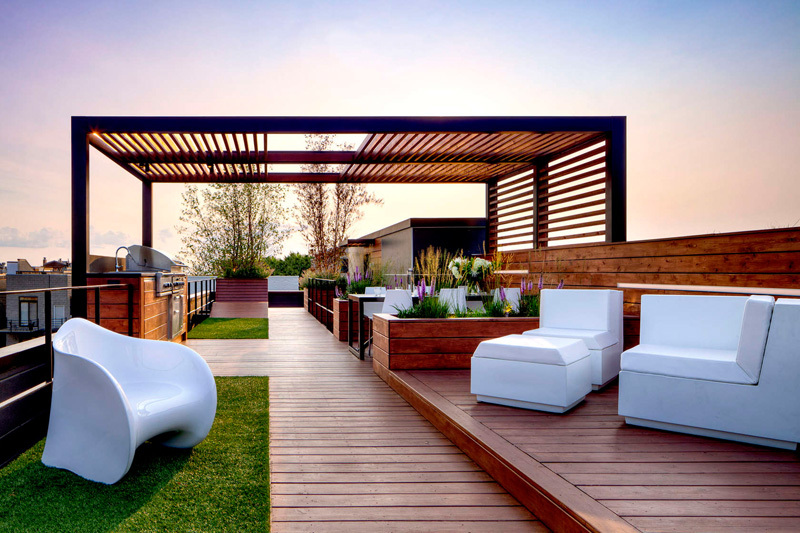 An integrated chaise lounge unfolds from the wood decking to provide sculptural and ergonomic seating. 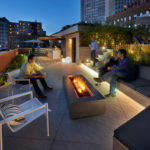 Private moments are created by a small rock garden and a secluded reading area with hammock—these sunken spaces are carved out of the elevated deck. 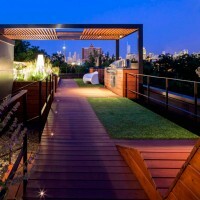 A louvered pergola frames city views and a cedar wall provides privacy. 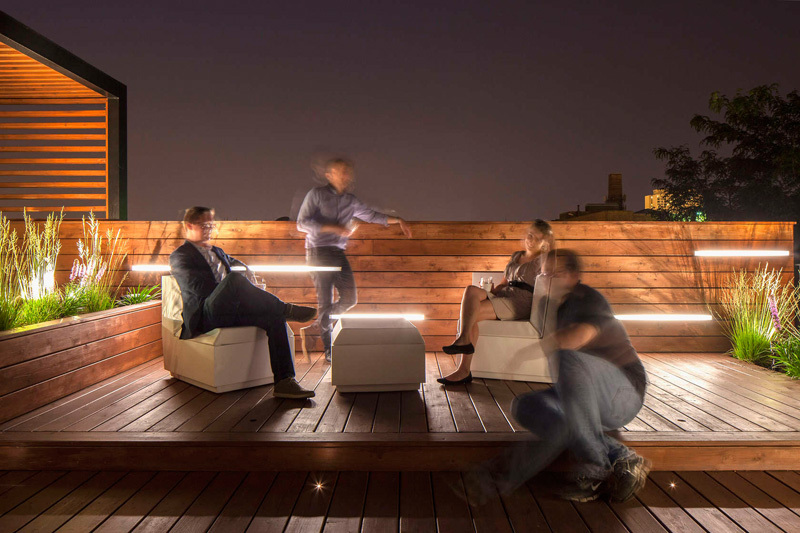 Custom LED light bars are horizontally mounted in the wall for an artful and dynamic evening scene. 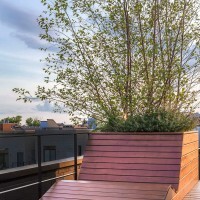 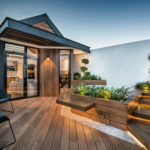 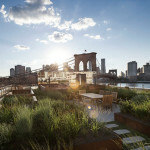 An artificial grass lawn provides lush space for recreation and contrasts playfully with drought tolerant plants selected for their ability to thrive in the urban roof deck microclimate.